I labored to breathe and kicked my boot into the mountain. I looked right; Nothing to see but a white void of snow-filled air. Then… WHACK! a gust of wind knocked me down, splayed on the steep ridge just feet from a cornice edge. 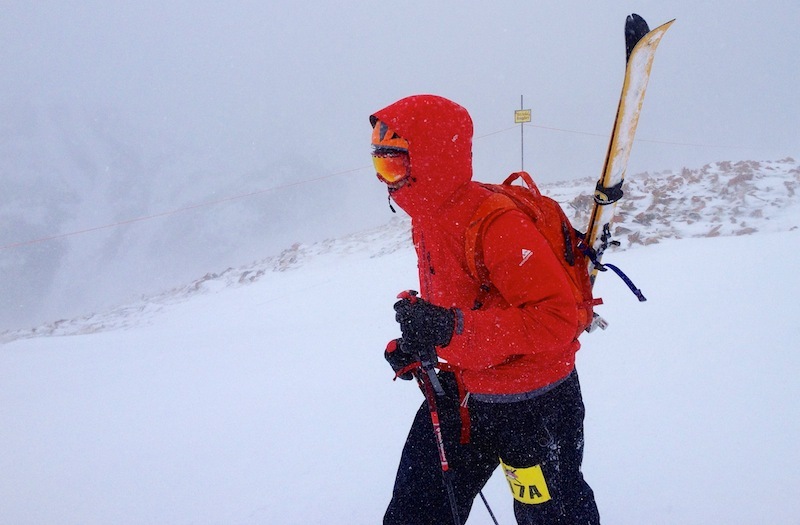 My teammate was also on the ground, cowering away from the 70-mile-per-hour gale that scoured the ridge at 12,000 feet. Welcome to SkiMo, one wild alpine sport! 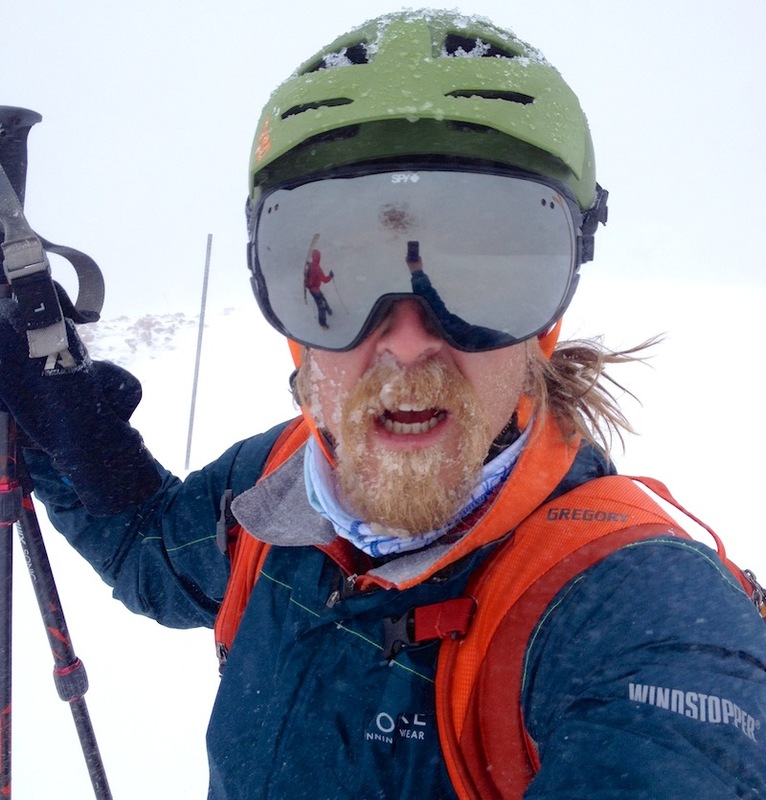 After completing 8,000 vertical feet of climbing while crossing about 16 miles of snowy, steep terrain during the Power Of Two ski-mountaineering race in Aspen, Colo., earlier this week, I’ve decided SkiMo is one of the hardest sports on the planet. 1 — The climbs are brutal. The Power Of Two race in which my teammate and I participated included 8,000 feet of slogging up two mountains. This was the easy “recreational” class. The elite “sport” division (the highly regarded Audi Power Of Four) crossed 26 miles and 11,000 vertical feet. 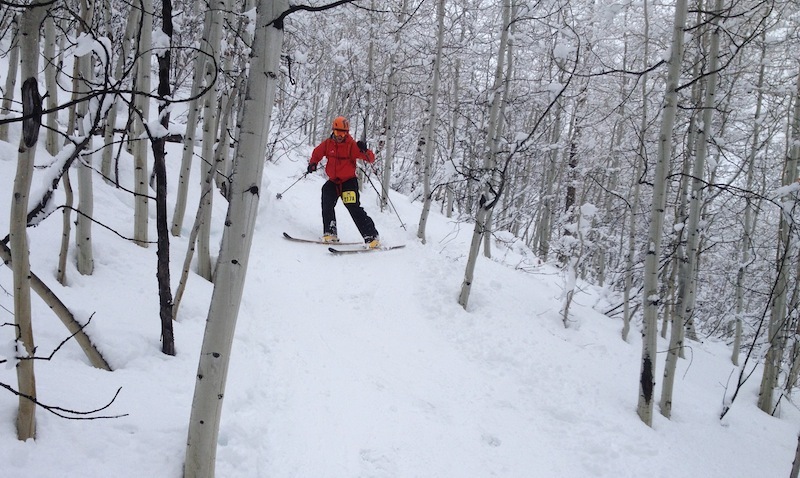 All this is done on thin skis equipped with climbing skins to provide forward traction. Even the ultralight equipment designed for this very purpose is much heavier than running shoes. My pack weighed about 10 pounds, adding to the struggle. The reward? Proving you can climb miles into the sky makes everything else look a little easier. 2 — The descents are worse. 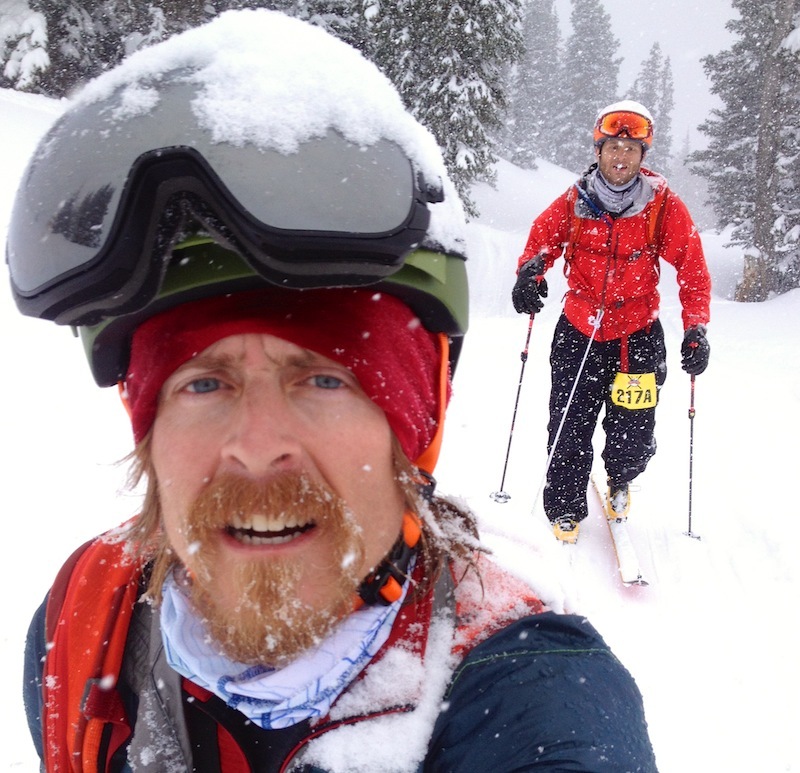 This may be the only sport where participants cringe when someone says “it’s all downhill from here.” After climbing thousands of feet, competitors must transition to downhill mode and ski some of the most difficult terrain a mountain has to offer on ultralight skis (imagine skiing double black diamond tree and bump runs on skis only slightly more burly than those for crosscountry touring). These descents make the quads scream like nothing else. The reward? Every once in a while, even on skinny skimo skis, you will link up those turns, the powder flies, and you feel weightless freedom. 3 — Weather. During the Power Of Two, my partner and I were knocked down by the wind — FOUR TIMES! And not just pushed, but fully knocked to the snowbank, on our sides, blown over. The wind that day was clocked at over 70 miles per hour. The reward? Properly preparing for varied temperatures, precipitation and winds while under extreme physical stress is something any outdoor lover will hold in high esteem. 4 — Frostbite. In most sporting endeavors, cold weather is merely an annoyance. In ski mountaineering, it can lead to full blown medical emergencies. Mandatory equipment helps, but with howling winds and cold weather, frostbite is a genuine concern. The reward? Once again, mindful preparation to overcome adversity leads to a great sense of pride. 5 — Water doesn’t work. Moisture management is one of the biggest headaches in winter sports. It freezes in hydration bladders and even bottles. Frost builds up on shell layers. The overheated body sweats, soaking clothing, which is also soaked from the outside by falling snow or you falling down in the snow, which then freezes in a harsh wind. Goggles fog. Sunglasses fog. Beards ice up. You get the picture. The reward? Pushing hard in a cold environment tests the limit of equipment. You will learn what works and what doesn’t. 6 — The races last a long time. Even the most elite SkiMo racers finished the Power of Four in more than five hours. That’s a pretty long time. My partner and I finished in more than seven hours. That is a long, long time to be pushing hard on your feet. The reward? Getting into the groove, your mind has the time to wander or simply go blank. Enjoy the amazing views and country few ever experience at such a slow, prolonged pace. 7 — Something will hurt. For me it’s the feet. I have yet to find a pair of skimo boots that fit well, and after the first hour my feet are usually throbbing. By the end I winced with every step. Be it was cramps, cold fingers, nausea — who knows? — in an event this long and physical, some nagging pain is likely to rear its head. The reward? Taking the boots off after the race was amazing and the pain motivated me to get done as quickly as possible. 8 — Altitude. Mainstream pro athletes may complain about playing at mile-high Denver, but many SkiMo races go well above 12,000 feet, an elevation that puts you way above the nosebleed section of any stadium in the United States. The reward? Accomplishing a major milestone at high altitude is awesome and makes training runs at lower elevations feel like a cakewalk. 9 — You could be hurt (or even die). 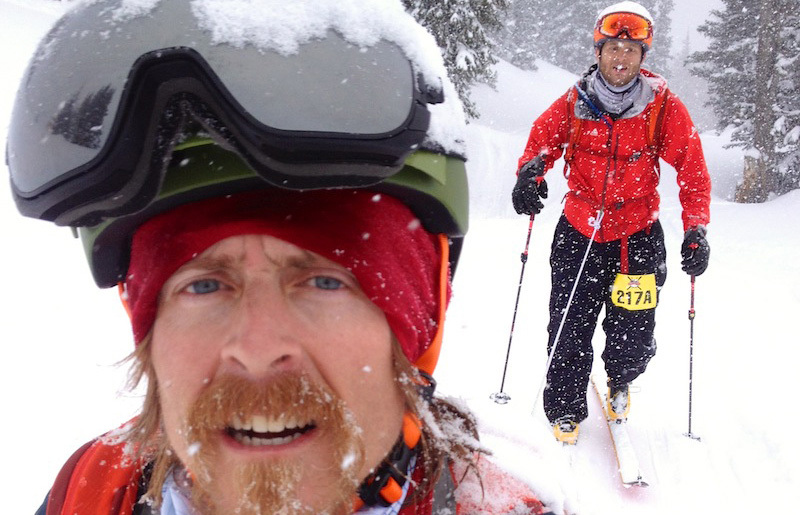 It’s unlikely, but SkiMo Racing is dangerous (mountaineering IS in the name). Just to participate athletes are required to carry standard avalanche rescue equipment (beacon, probe, shovel) and protective clothing and helmet. There are cliffs to fall from, at times confusing navigation, and a lot of trees to run into on the downhills. The reward? New friendships, renewed self-reliance and survival to play another day. —Sean McCoy is managing editor. 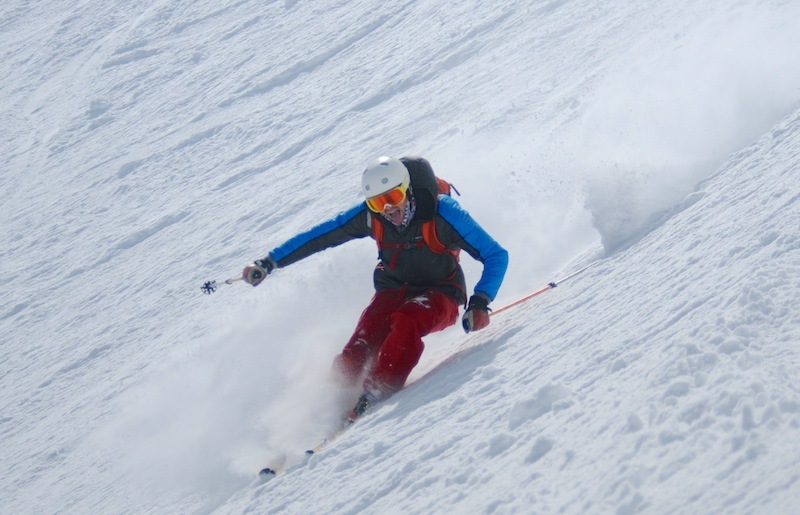 Backcountry Ski Safety: What Avalanche Gear Should You Buy?